Oxmoor Toyota is the leading Toyota dealership serving the greater Louisville, Kentucky area. We offer an extensive selection of Toyota cars, trucks, and SUVs, including certified pre-owned Toyota vehicles. Certified pre-owned Toyota vehicles have passed multi-point safety and quality inspections, so you can rest assured that each vehicle carries the official Toyota seal of approval. Browse our inventory of certified used Toyota vehicles below, then feel free to visit our Louisville, Kentucky Toyota dealership for a test drive. New vehicle pricing includes all offers and incentives. Tax Title and Tags not included in vehicle prices shown and must be paid by the purchaser. While great effort is made to ensure the accuracy of the information on this site errors do occur so please verify information with a customer service rep. This is easily done by calling us at (502) 565-0086 or by visiting us at the dealership. Choosing a certified pre-owned vehicle comes with a variety of benefits, including a 160-point quality assurance inspection by our very own team of expert technicians at our Louisville, KY Toyota service center. Every certified pre-owned Toyota vehicle comes with a 12-month/12,000-mile warranty as well as a 7-year/100,000-mile limited powertrain warranty, so you can rest assured that you will enjoy your pre-owned Toyota car, truck, or SUV for years to come. 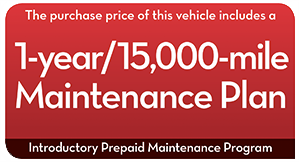 With a comprehensive vehicle history report and roadside assistance from Oxmoor Toyota, you will enjoy an incredible value on top of our already affordable price tag. With a wide selection of new Toyota vehicles, reliable used cars, and additional special offers and incentives, you’re bound to find a great vehicle at a great price when you visit Oxmoor Toyota. Get in touch with one of our amiable sales associates to learn the details on any model, as well as the latest incentives, auto financing options, and customization possibilities. Give us a call, browse our site, or just stop by our Louisville, KY Toyota dealership if you have any questions.